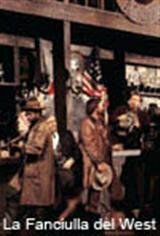 Puccini's wild-west opera had its world premiere in 1910 at the Met. Now, on the occasion of its centennial, all-American diva Deborah Voigt sings the title role of the "girl of the golden west," conducted by Nicola Luisotti. Based on the play The Girl of the Golden West by David Belasco. Encore presentation on February 19, 2011.